The ISHTA Studio of Yoga & Health is proud of the unique and collective energies of the Yoga Teachers of the studio and the differing teaching styles. They not only bring a wealth of knowledge and wisdom each within them, but all resonate with the shared love of yoga and the eternal spirit from which it was born. We welcome you to try all of their classes! NANDIVA – a spiritual name given to Wendy by her guru – is a name derived from the Bilaspur goddess Naina Devi who, being the goddess of eyes, saw things that most others could not see. Wendy is an initiate of Kavi Yogiraj Mani Finger and has been practising yoga for over thirty years. Wendy believes that by linking the mind and body with the breath we create a centred, harmonious feeling. After Mani left to live in the USA in the later part of his life, Wendy, inspired by the teachings of her guru, mentor and wonderful friend, continued the tradition of ISHTA by creating the ISHTA School of Yoga & Health. Theoni teaches Pregnancy yoga at the ISHTA School of Yoga & Health and is also a qualified Doula, certified HypnoBirthing practitioner and aromatherapist. Theoni is passionate about creating the right environment for a child to enter the world and believes in the capacity and courage of women to face life’s journey and all its challenges. With a sensitive and practical approach to your wellness during pregnancy, Theoni guides students on a yoga journey that they will be enriched through, learn from, delight in and ultimately, treasure. 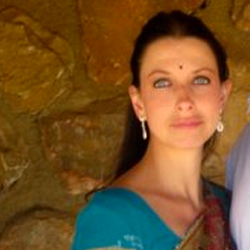 Angela is the admin and workshop coordinator at the ISHTA School of Yoga & Health. 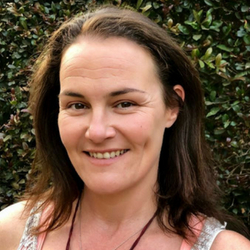 Angela completed her Yoga Teacher Training through ISHTA in 2009 and has continued to teach there ad hoc over the years, initially running the children’s yoga programme. With a background in publishing, after leaving her career as a magazine editor, she took over publishing and editing Complete Yoga magazine. She is also a freelance writer/editor, mom of two and simply relishes her daily yoga and meditation practice and the endless opportunities for personal growth it allows her. Teaching from the heart, Angela’s classes bring spiritual upliftment while focusing on classical hatha, pranayama and meditation. Marianne Felix is a medical doctor who specialised in Occupational Health. Her focus has always been preventive medicine. Kundalini yoga helped Marianne resolve personal trauma so she knew it was a good technique for dealing with the emotions. Marianne became a yoga teacher and formed Yoga4Alex – an NGO that offers yoga classes to Grade 11 and 12 learners in Alexandra. To date, five “yoga4Alex” youngsters have become yoga teachers and currently 1500 learners in Alex participate in weekly yoga classes at five high schools in Alex. Marianne gives the Wednesday evening Kundalini yoga class at ISHTA. Mariette Strauss is a Kundalini yoga teacher, a healer, fire walking instructor, Tantric numerologist as well as a “lifelong student”. Her spiritual journey began 20 years ago, studying a diversity of healing modalities. Besides ISHTA, she teaches Kundalini at the Boksburg Correctional Service, the juvenile’s maximum imprisonment, a “humbling experience” with the long-term goal of empowering the youth there to become teachers themselves. 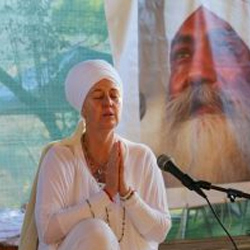 Siri Shakti Kaur is also currently an intern at the Kundalini Research Institute, teaching to become a lead teacher trainer. Striving to help and guide individuals to be the best they can be in this life and reach for their highest potential. 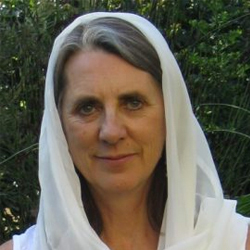 Karen Anne Turis is a qualified Kundalini yoga teacher, as well as a qualified Dance and Movement Therapist. She has offered private and group yoga for over 17 years and has, more recently, taught movement classes to both adults and children. Karen has reached thousands of people over the past 25 years of working in the health and wellness industry. Karen also mentors youth as part of The Yoga 4 Alex project. 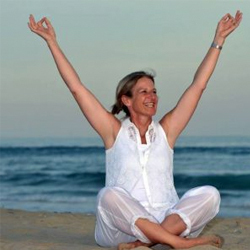 Colleen Dawson has been teaching Kundalini yoga since 2013 and practicing Kundalini yoga since 2004. Playing guitar in the Dharma Sisters kirtan band with other yogis is a wonderful integration of her love of yoga with her long love of sharing music. Colleen is at heart a teacher and has been teaching in many situations for nearly 40 years. Meditative practices like tai chi, meditation and yoga have been integral in her life since she was 18. Teaching and practicing Kundalini yoga brings compassionate understanding into her life in a more real way every day. 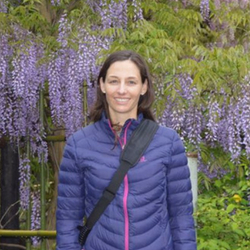 Claire is passionate about the power of meditation and yoga, and in 2017 completed both the Yoga Teachers Training and PureView Mindfulness Practitioners Course at ISHTA. Claire enjoys teaching Ashtanga where there is structure and clear progression in asana, while balancing this with the subtle flow of energy through movement in her Hatha Fusion classes. Lynne fell in love with the transformational power of yoga in 2014. She studied Satyananda yoga at the Satyam School of yoga in 2015 and, has since, allowed yoga to be her guide, integrating harmony and deeper awareness into her daily life. Lynne is a holistic healer who uses massage therapy, reflexology, Reiki and yoga to empower the body and being into a peaceful existence. She believes in the power of truth (satya). Lynne enjoys teaching Ashtanga yoga because it, in her words, “dutifully tunes the entire body to health and wellness”. Wendy is an initiate of Kavi Yogiraj Mani Finger and has been practising yoga for over thirty years. Wendy believes that by linking the mind and body with the breath we create a centred, harmonious feeling. After Mani left to live in the USA in the later part of his life, Wendy, inspired by the teachings of her guru, mentor and wonderful friend, continued the tradition of ISHTA by creating the ISHTA School of Yoga & Health. Mariette Strauss is a Kundalini yoga teacher, a healer, fire walking instructor, Tantric numerologist as well as a “lifelong student”. Her spiritual journey began 20 years ago, studying a diversity of healing modalities. Besides ISHTA, she teaches Kundalini at the Boksburg Correctional Service, the juvenile’s maximum imprisonment, a “humbling experience” with the long-term goal of empowering the youth there to become teachers themselves. 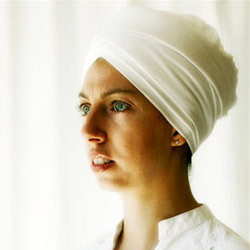 Siri Shakti Kaur is also currently an intern at the Kundalini Research Institute, teaching to become a lead teacher trainer. Striving to help and guide individuals to be the best they can be in this life and reach for their highest potential. The most important tool is to understand compassion for self. Through my own journey I have learned that through continuous practice and self-discipline to live out my purpose and to do it courageously and to keep sharing,” she says. Amalia is an ISHTA yoga teacher, Pilates teacher, Reiki Master and crystal healer, who further practices both therapeutic and Thai yoga massage therapy. Her own journey into health and wellness has led her to develop a holistic approach to natural healing. She teaches others how to work with their pain, healing the body from within. Overcoming her own physical limitations, Amalia encourages others to use yoga and other natural healing modalities to tackle wellness from all aspects – physically, mentally, emotionally and spiritually. Amalia has a passion for working with spinal issues, neck pain, hips and sciatica, sacroiliac dysfunction, knees and feet. As Amalia says, “the body tells a story,” and you need to be able to read what it is telling you.